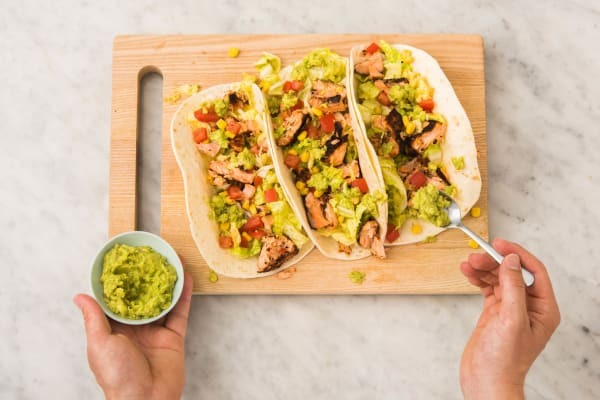 Make any night taco night with this 20 minute blackened salmon, slaw and guac taco! Don't be frightened by the name though. This cajun technique of blackening in a hot pan is all about getting that perfect crust from the aromatic spices! If you'd like warm tortillas, wrap them in paper towels and microwave until they are warm and flexible, about 30 sec. Blackening is the Cajun technique of searing in a hot pan! It's all about getting that perfect crust from aromatic spices! Wash and dry all produce. * Mince or grate 1 clove garlic (dbl for 4 ppl). Finely chop cabbage. Zest and juice the lime(s). Cut the tomato(es) into 1/4 inch cubes. Pat the salmon dry with paper towels. 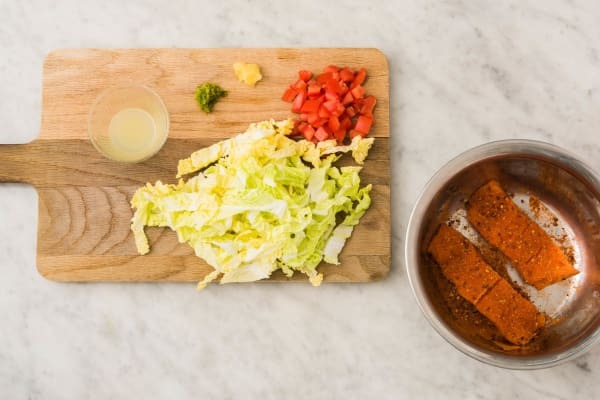 In a medium bowl, toss the salmon with the Southwest spice blend. Season with salt and pepper. Set aside. 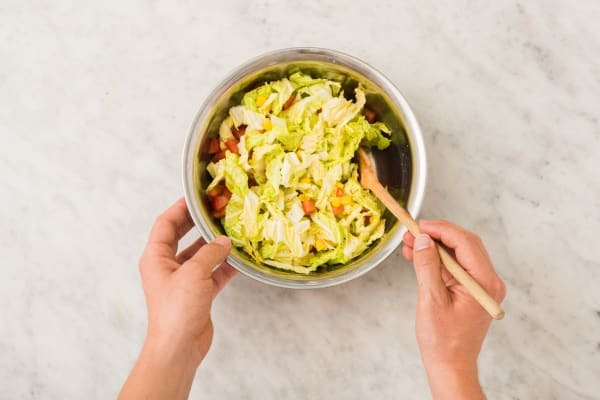 In another medium bowl, combine the tomatoes, corn, cabbage, lime zest, 1 tbsp lime juice (dbl for 4 ppl) and 2 tbsp oil (dbl for 4 ppl). Season with salt and pepper. Heat a medium non-stick pan over medium-high heat. When the pan is hot, add 1 tbsp oil (dbl for 4 ppl), then the salmon. Pan-fry until 'blackened' or dark golden-brown and cooked through, 2 min per side. (TIP: Cook to a min. internal temp of 70°C/158°F. 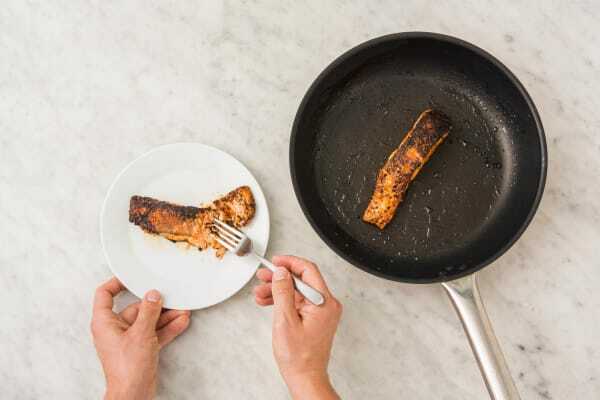 **) Using a wooden spoon, break up the salmon into bite-sized pieces. Meanwhile, peel and cut the avocado(es) into 1/2-inch cubes. 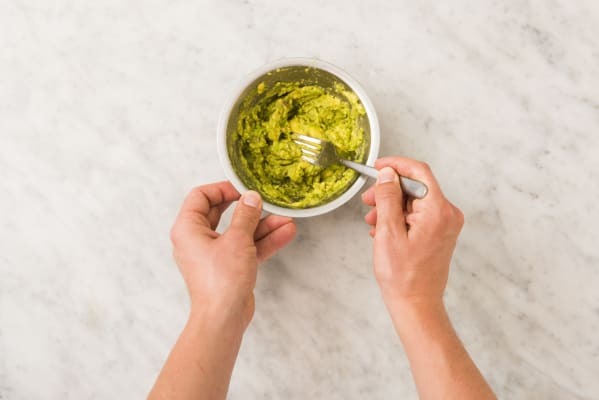 In a small bowl, add the avocado, garlic and remaining lime juice. Using a fork, mash together until creamy. Season with salt and pepper. Divide the tortillas between the plates. 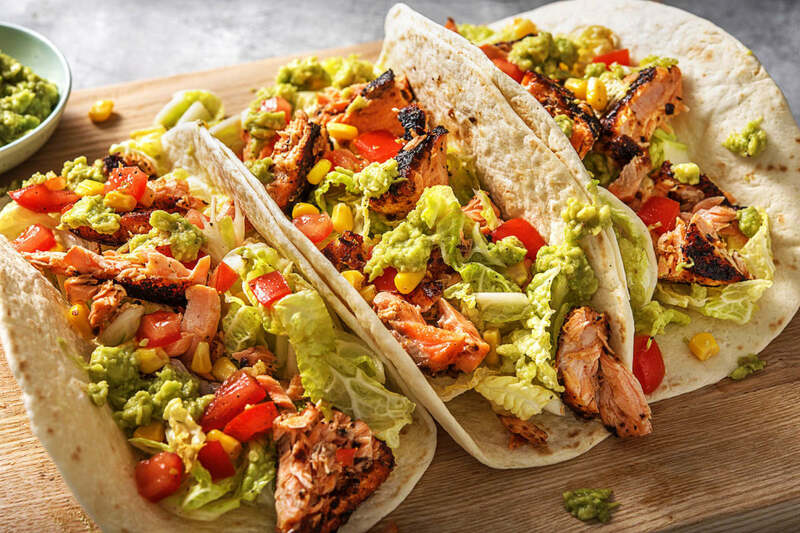 Top the tortillas with salsa, salmon and dollop with the guacamole.